Are you a fan of Star Wars and character meals? Well, if you are, for the first time ever, select Star Wars characters will take part in not one, but two, different character meal opportunities at Disney’s Hollywood Studios from May 4 to June 15. Guests will be able to partake in either a breakfast option that will be available at Sci-Fi Dine In Theater or a dinner option that will be available at Hollywood & Vine. The best news is that these character meals won’t just take place during Star Wars Weekends. Instead, they are scheduled to occur throughout the whole week! Takes place at Hollywood and Vine for dinner. This meal will have guests meeting Disney characters dressed as their favorite Star Wars character. 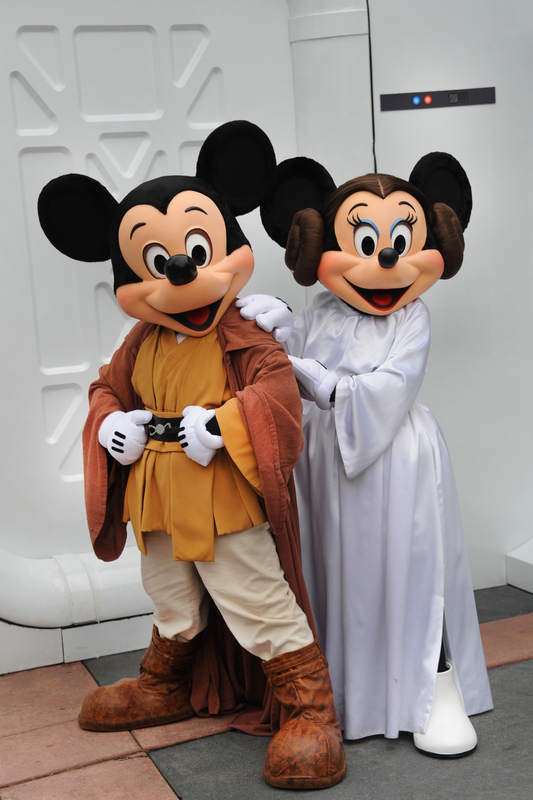 Guests will get to meet Jedi Mickey, Princess Leia Minnie, Darth Goofy, Stormtrooper Donald, and Ewoks Chip & Dale. Dinner starts at 4:15pm and lasts until park close. The prices are $55.99 for adults ages 10 and up (or $59.99 with Fantasmic! Dinner Package), and $33.99 for children ages 3-9 (or $36.99 with Fantasmic! Dinner Package). Guests will receive a digital download copy of their photograph with Chip and Dale. This meal will take place at the Sci-Fi Dine In Theater during the hours of 8:00 a.m. to noon. At this meal guests may meet Stormtroopers, Jawa, Greedo, Boba Fett, and Darth Vader. Best of all, it appears that instead of showing classic sci-fi movie clips, the theater will show Star Wars clips! Pricing is $47.99 for adults ages 10 and up and $29.99 for children ages 3-9. This meal also includes a digital photo of your party. 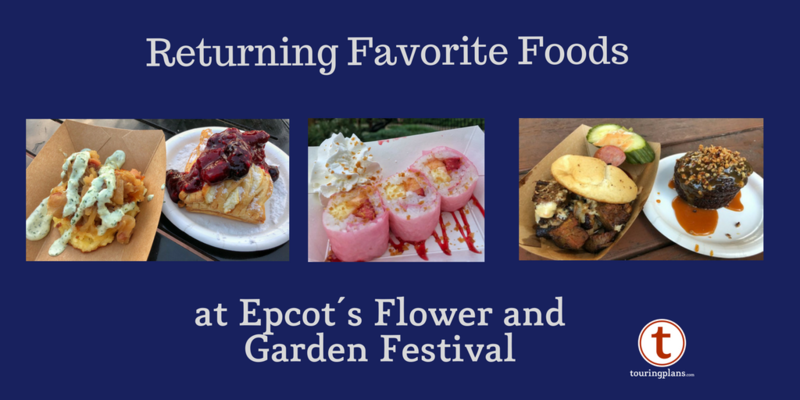 To make reservations for either of these meals, I suggest you call (407) WDW-DINE. This is going to be an extremely popular experience. so make your reservations as soon as possible. What kind of food will be served ? It took some doing, but we got an ADR for Monday, May 12. The Disney dining site had no availability at all for the week we are going. So, off to the phone I went. It took 45 minutes on hold and another 15 minutes on the phone with the CM, but we were able to secure our ADR! They should do this all year long. I don’t know why when they have these ideas that people would gladly throw money at them they make them time limited like this. I know they love money. I just can’t make it to Star Wars Weekends… sigh. What they need to do is put together that Star Wars expansion that they have been hinting at. They can build a Cantina with a permanent Star Wars character meal. Can you imagine all the money that they would make off a “Star Wars” land similiar to Universal’s “Harry Potter world”. I also had to call Disney Dining to get a reservation for June 17th. The call took about 45 minutes to complete. The meal will also cost 2 dining credits. We got lucky and had ADR for Hollywood and Vine for June 2nd already. The reservation changed to Jedi Mickey’s Star Wars Dine automatically. So Yeah!!!! We also already had Fantasmic package at Hollywood and Vine but now reads Star Wars Dinner. Don’t want to spend an hour on hold so does anyone know if it still comes with pass to Fantasmic and is does is still cost on sit down credit? It’s 2 dining credits, and the Fantasmic passes will still be included. I talked to someone this morning. Thanks to you I just made a reservation for the dinner! Like the others here, I tried the website first and found no availability on any of our vacation days, BUT when I called, I was able to easily get a reservation for the night I most wanted. The trick seems to be to call Disney Dining rather than using the online site. Anyone know if I can do dinner without Fantasmic and just use one dining credit or is it two regardless? 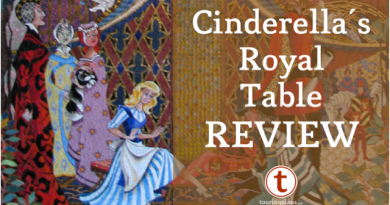 You can do the dinner without Fantasmic (and, in fact, it costs a little less that way). Unfortunately, I don’t know about the dining credits. Does anyone know if the Star Wars Dinner accepts Tables in Wonderland? I know they accept 2 credits on the DDP but not sure about TIW. Anyone know? When I called and made our reservations I was told TIW wouldn’t be accepted for either of the meals.